Phuket Elephant Sanctuary is located in the charming island of Phuket Island of southern Thailand. 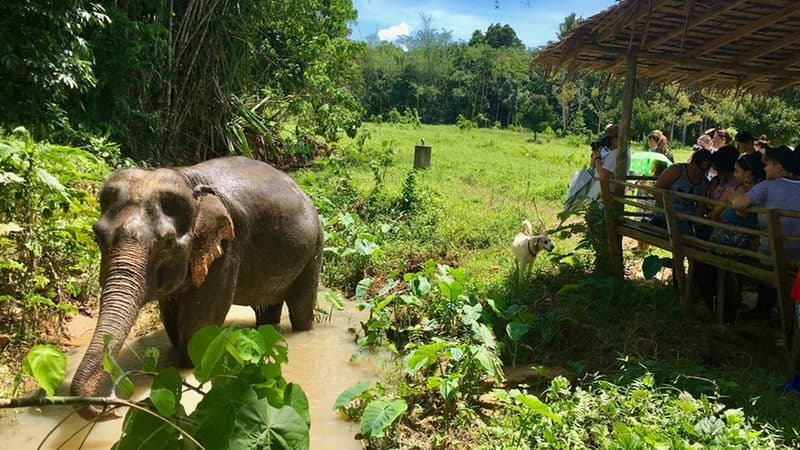 Phuket Elephant Sanctuary was founded by its boss Mr. Montri Todtane, Lek elephant who is the founder of Save Elephant Foundation and world-renowned elephant rescuer and conservationist, and Louise Asia, the founder of EARS Asia. This project is as good as Lek Chailert's Elephant Nature Park Lephant Chailert which is very successful in Chiang Mai, and it reflects the highest level of welfare standards. 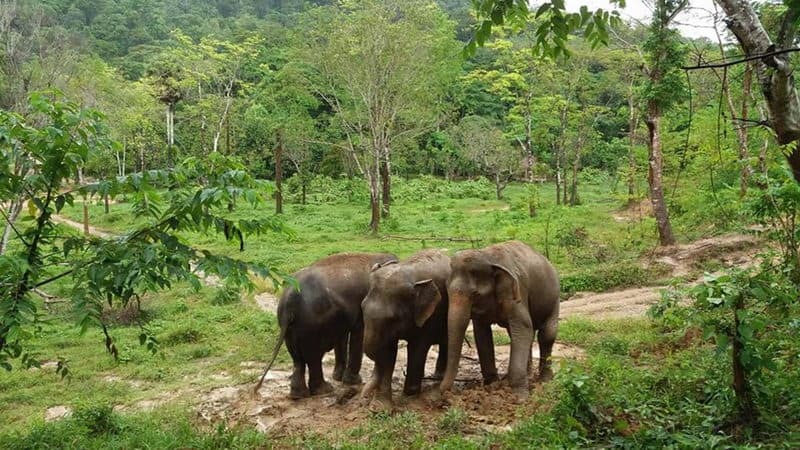 Phuket Elephant Sanctuary provides a retirement home for old the injured elephants who have been worked for the logging and tourism industry for many years. The elephants can roam freely in the park. They can also bath, cover themselves with lovely thick mud and interact with each other naturally in the huge freshwater lake. If you are interested in more elephant activities in Thailand, see Elephant Sanctuaries in Thailand and start a tailor-made Thailand tour! Visitors can enjoy an early morning with the lovely elephants at the Phuket Elephant Sanctuary. In the morning, visitors will follow the path which leads to the shelter into the treetop reception and observation platform. On the way, visitors will encounter many elephants, and can also know who they are and why they need to be protected. Before starting a tour, visitors need to watch lectures and educational videos that why the elephants need to be protected. After that, visitors can feed elephants under the guidance of the staffs. It will be a truly magical experience. At the same time, the staff will introduce the tourists to the elephants and their stories. In the afternoon, visitors can walk with the elephants, and observe the beautiful elephants when the elephants eat grass calmly in the forest or bathe in the pond within the distance of respect. What's more, the park will offer traditional Thai food, coffee and tea for visitors. Phuket Elephant Sanctuary put the elephants in the first place, so there are not recreational facilities, performing, bathing, washing mud. And visitors are not allowed to sit or lay on the elephant, or speak loudly around the elephants. It is worth noticed that Phuket Elephant Sanctuary will not allow tourists to take baths with elephants. The reason why it's not allowed is that the elephants need plenty of space for bathing. If people crowd around the water around the elephants, the elephants will be affected. What's more, there is not Wi-Fi because the network signal in the mountain is not good. Please remember to wear clothes that respect local culture. T-shirts must cover your shoulders and shorts.